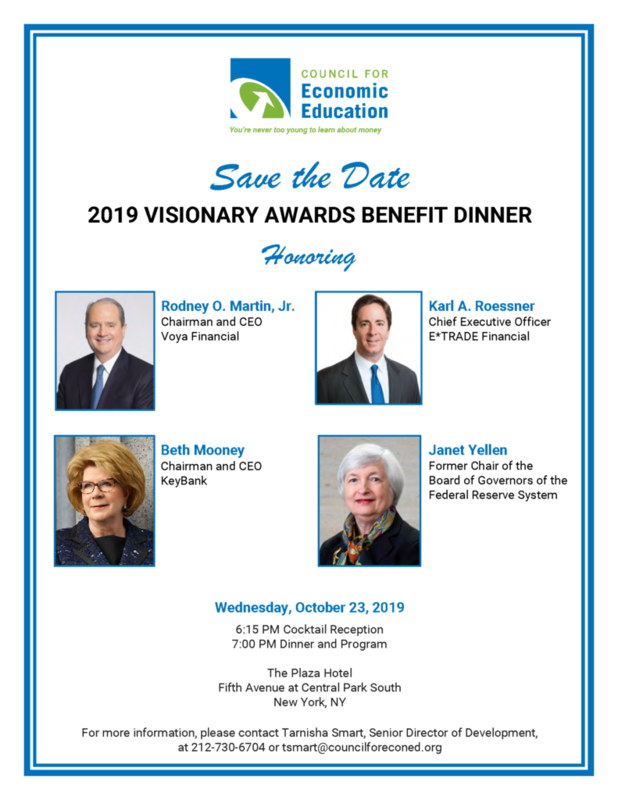 Join us for the 2019 Visionary Awards! Please click button below to purchase tickets, sponsorships, journal ads and/or to make a donation. To learn more about the Visionary Awards and/or sponsorship opportunities, please contact: Tarnisha Smart, Sr. Director of Development, tsmart@councilforeconed.org.